Microsoft Office is always the first choice of all Windows users and they are fully habituated to the use of this software. It doesn't matter, which Windows operating system they are running on their PC but the Microsoft Office is common and confirmed software for their PC. Although, this popular software (Microsoft Office) is not free for Windows operating system but now recently Microsoft has released the free Microsoft Office for iPhone, iPad and Android Tablets. 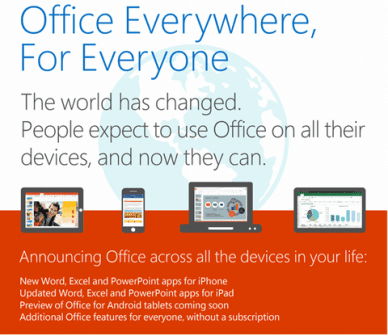 The company has officially announced that Microsoft Office is absolutely free for most popular mobile phone such as iPhone, iPad and Android Tablets. In past, Microsoft Office was also available for these popular mobile platforms but you had to purchase the Office 365 subscription to use Microsoft Office apps. But thanks to Microsoft, now it's free. If you are curious to know about microsoft office free download then i would like to inform you that the new updated version of Office suite for iPad is wholly free and it comes in form of three different apps: Word app, Excel app and PowerPoint app. 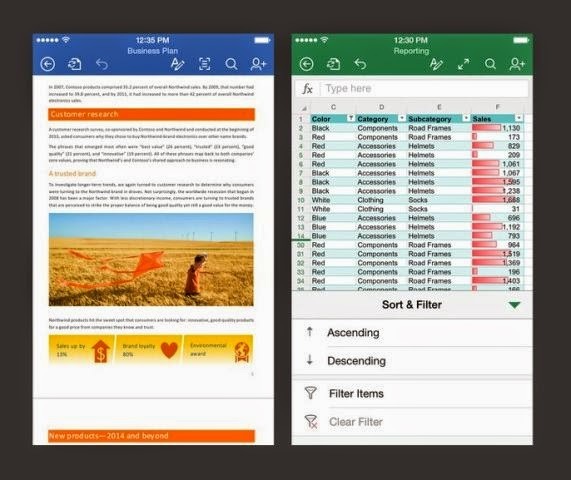 Exact similar to the iPad, Microsoft has released three separate Office apps for iPhone users and all these Microsoft Office apps for iPhone (Word, Excel and PowerPoint) is free. A little sorry news for Google Android users is that they have to wait for sometime. According to the Microsoft announcement, they are going to release free Microsoft Office apps for Google Android tablets very soon which you can get from Google Play Store. Meanwhile, you can sign up for the free Preview version of Office apps for Google Android Tablets to get quick access to the Microsoft Office apps. 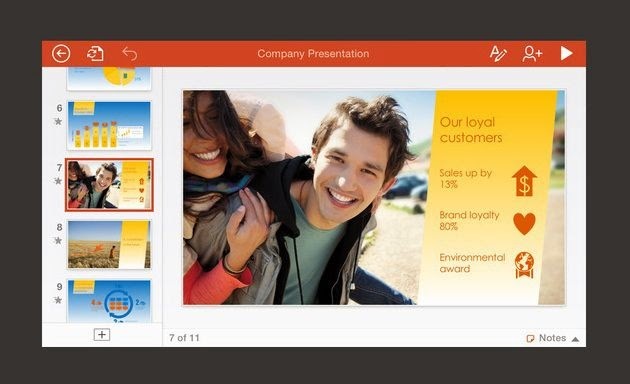 According to the sources, Microsoft Office for Android Tablets will be available in early 2015. During the announcement of free Microsoft Office for iPhone, iPad and Android Tablets, the company also announced that they will release the touch-optimized Office apps for Windows 10 operating system in future. This is really a great news for Windows 10 users. Isn't it?